to replace missing teeth and also provide a fixed solution for dentures. with state-of-the-art dentistry in a caring environment. Learn about cosmetic treatments such as Teeth Whitening, Veneers, and Tooth-Colored Fillings, as well as other general services. Read on what some of our satisfied patients have to say about their dental experiences with Dr. Mark Mkrdichian at Family Care Dental in Chicago, IL. Family Care Dental Group welcomes new patients. We offer payment options & accept most dental insurances. Visit this page to download patient forms. 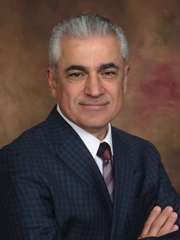 Dr. Mark Mkrdichian has been practicing dentistry in Chicago (West Ridge), since 1983. In 1979 Dr. Mark received his Bachelor of Science from the University Illinois Chicago Campus. He completed his Doctor of Dental Surgery Degree in 1983 at the University of Illinois School of Dentistry where he was awarded a certificate for outstanding clinical achievement in comprehensive dental care. 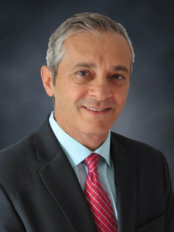 Dr. Ashor Elia received his Bachelor of Science Degree from Northeastern University, and went on to graduate from the University of Illinois at Chicago Dental School in 1994. He joined Family Care Dental Group shortly after graduating from dental school and has been practicing dentistry for 16 years. 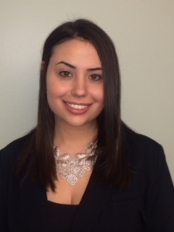 I joined Family Care Dental Group in 2016 and was impressed with how I was immediately embraced as part of the team. It’s such a warm and welcoming practice. I strive to continuously expand my knowledge in the dental field and find enjoyment out of learning new information, methods and technology that will benefit the patients I treat. Personal interaction with patients is my favorite part of my job whether it be helping someone become more comfortable in the dental chair or attaining a smile they’ve always desired. I’m here to help my patients in every way possible! I graduated from Kennedy King College of Dental Hygiene in 2015. I was awarded exemplary leadership in dental hygiene, as well as the Hu-Friedy’s Golden Scaler Award for outstanding clinical achievement. Prior to my hygiene career, I was an assistant for 15 years. Outside of dentistry, I enjoy spending time with my children, cooking and traveling. It seems like every season we are caught up in the newest trends and styles and want to make sure we are in a constant state of make over. Whether it’s our hair or closes or even the tools and technology we use to carry out the tasks of our day to day life there is never a shortage of things that won’t do to make sure that we are feeling new and empowered for our choices. If stained, discolored, or darkened teeth are cluttering up your smile, don’t fret; reach out to your community dentist at Family Care Dental Group and ask about an Implant dentist in Rogers Park. One phone call could set you on the path towards a radiant, stain-free smile! Many older adults suffer from tooth loss as they continue to age, but people may also lose teeth because of dental health problems, injuries, and more. If you lose teeth for any reason, it is important that you discuss your treatment options with a dental professional as soon as possible! Do you want to improve the look of your smile? If so, you should visit us at our Family Care Dental Group. At our dental practice, our cosmetic dentist in Chicago Illinois, Dr. Mark Mkrdichian or Dr. Ashor Elia, will be able to provide you with cosmetic dentistry care to give you the smile you have long dreamt of. We proudly provide quality dental care in Chicago on Devon Ave and surrounding areas. We are pleased to offer a wide range of preventative, periodontal, endodontic, restorative, and cosmetic dentistry services. Thank you for choosing our office and we look forward to a long and beneficial relationship!